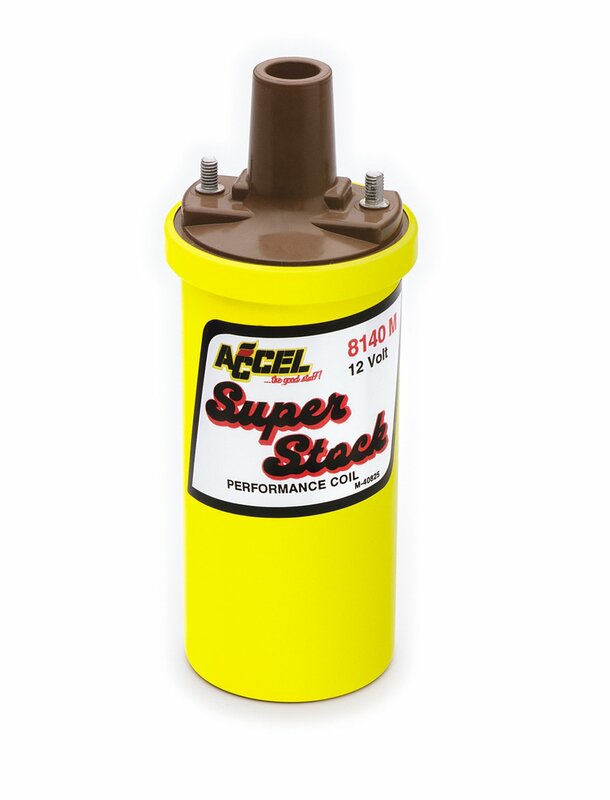 This ACCEL SuperStock performance coil fits 1979-92 Chrysler / Dodge / Plymouth applications with canister style coil. Excellent high performance replacement for 1979 and later vehicles with a canister type oil filled can coil. Exact duplicate of OE spark plug style secondary contact inside tower. No need to replace or custom make coil wire leads. Re-engineered windings for even higher energy output resulting in quicker starting, improved throttle response and more high RPM power. Designed to work with OE ignition systems and MOPAR Performance ignition computers. Special crimped and soldered internal connections ensure positive contacts. Heavy duty tan Alkyd tower provides "flashover" protection to primary terminals. Can finished in "ACCEL Yellow".